Just chiming in with my personal opinion. Take it as you see fit. As someone that is now just getting into classic movies I tend to try to put anything that I consider even spoiler-ish into spoiler tags. I have not seen many movies that was made before 1980 and Just because a movie is old don't mean I want the experience spoiled for me. Like just recently when I watched Rear Window for the first time ever. I know I would have been upset if before I had the opportunity to watch what I thought was an excellent movie, it got spoiled for me. That would have taken much of the enjoyment away from me. So... in general... the age of the movie does not matter. When I post I try my best to remember to think of the people that even could be out there that never seen whatever movie before. I agree with this. 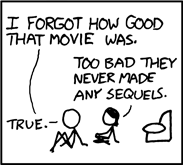 And that is how I have tried to do with my reviews at Epinions even when I'm reviewing something that is a popular movie. Now we don't have spoiler tags there like there are here, but I'll put in all sorts of warnings I feel like I have to include something...and even when I do that, I am still usually vague. Other people there don't seem to feel the same or don't consider the same informaton spoilers, so at times, I am very careful about which reviews I read. There are a lot of older movies that I haven't seen yet too. I only saw Psycho for the first time like 8 years ago maybe. I would have been irked if I had known the ending ahead of time. , but I don't know anything else about this movie. So the ending will be new to me. 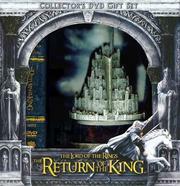 Synopsis: 3000 years ago an army of Men and Elves defeated the dark lord Sauron. But his power was embedded in the One Ring, and that was not destroyed. The Ring found its way into the hands of Frodo Baggins, a Hobbit. And now the task of destroying it became his. But the Ring can only be destroyed where it was made: In Mount Doom in the heart of Mordor and there Sauron and his armies are rising again. His journey begins in the Shire, the homeland of the Hobbits and leads from there over Bree, Rivendell (the home of Elrond), Moria (a dwarf mine deep in the mountains) and Lothlórien. But Frodo is not alone on this journey; he's accompanied by friends and allies of all races who stand against the dark forces: Hobbits, Elves, Dwarves, Wizards and Men. My Opinion: I love this trilogy, maybe even a bit more than Star Wars but I am still undecided on that. I've read the books both in German and English but I have to say I like the films better. Most of the actors are really great, especially when they deliver speeches. The only somewhat problematic actor is Elijah Wood, especially in the later movies when Frodo becomes more and more influenced by the Ring. One gets the feeling he has only one facial expression left. But still: Great story, awesome New Zealand Middle-Earth nature shots and superb special effects (even when they sometimes forgot to put a CGI arrow in Legolas's bow ). I also don't mind the deviation from the books, e.g. no Tom Bombadil. It doesn't really have an effect on the story at all; the only thing I really noticed was that they didn't explain the origin of Merry's sword which is important in the Battle on the Pelennor Fields. In the books they find the weapons in old grave hills, they were forged to be used against the Witch-King of Angmar (leader of the Nazgûl) when he was still a man. That's why Merry could stab and wound him and then he could be killed by Éowyn in Return of the King. 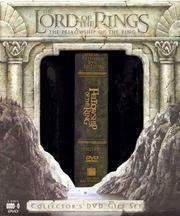 Synopsis: The fellowship has broken. Frodo and Sam are looking for a path into Mordor and they get unexpected help in the form of Gollum who has been a ring-bearer for nearly 500 years before Bilbo Baggins got the ring. But the enemy does not know this. 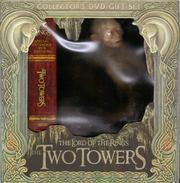 Saruman thinks Merry and Pippin have it and his Uruk-Hai are bringing them to Isengard. Aragorn, Gimli and and Legolas are following them and they get also unexpected help. And they need it dearly since Saruman is unleashing his armies onto the kingdom of Rohan. My Opinion: Of all the music in the LOTR movies I like the themes regarding Rohan and its horse-riders best and besides Aragorn, Théoden king is the best speech giver in the movies, may it be the one before the charge out of the Hornburg or the one before the charge on the Pelennor Fields. Forth Eorlingas! But my favourite dialog scenes in this movie are the dialogs/monologs between Gollum and Sméagol, Andy Serkis did a great job there. And my favourite change in comparison to the book is the addition of Haldir and his Elven archers to the Battle of the Hornburg. They honour the alliance once forged between Elves and Men. But I am also glad that they cut out Arwen's appearance again, that would have been a bit too much. Tom Bombabil is the living proof that it is possible to resist the attraction power of the ring. But only because it was never made clear who or what he really is. After all, Sauron is a Maia, one of the highest beings. Tom did not just withstand the power of the ring, it didn't even make him invisible. So, should Tom be standing higher up in the food chain than it's really no biggie for him to withstand the power of a lower being. As Goldberry answered the question of what Tom is: He simply is. Synopsis: Frodo, Sam and Gollum have found a secret yet dangerous path into Mordor which leads them in close proximity to Minas Morgul from where Mordor's armies are starting their final attack on Gondor. And while Saruman's army was beaten on the Hornburg the war is far from over. Rohan and Gondor have to stand united or they will fall. And even then it might not be enough to beat Sauron. Their only hope is to draw his armies out and give Frodo and Sam a chance to reach Mount Doom. My Opinion: Oh boy, what a number of battle scenes. But my favourite scenes were again the panorama shots: When the 6000 riders cleared out of their camp and when they charged the Pelennor Fields. But my favourite scene is when Pippin lights the beacon of Amon Dîn and then the other beacons are lit all the way to Edoras. But I wouldn't want to have the job to to sit a mountain top and to stare at another mountain top whether there was a fire lit or not. Frodo and Gandalf departed from the Grey Havens towards the undying lands of Valinor. Synopsis: By day, Thomas Anderson is a software programmer in a respectable company. By night, Neo is a hacker. For years he's been searching for an answer to a question that is gnawing in his mind: What is the Matrix? The answer to that question is beyond anything he could have imagined and will change his life forever. And it will change not only him, but the world. My Opinion: It's still a great movie and was certainly a milestone in film's history. Just the amount of movies that have re-used or parodied the bullet-time effect is incredible. 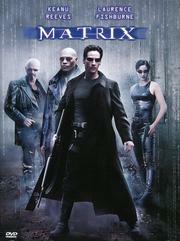 The effect scenes like the shoot-out in the foyer or the final battle between Agent Smith and Neo are wonderfully choreographed. And you can even see the details because there are not 20 cuts and angle changes in 30 seconds like in more modern action flicks. Synopsis: In Burma a civil war is causing countless deaths on a daily basis. 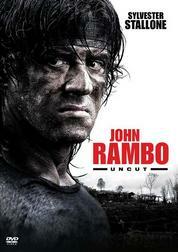 But John Rambo isn't interested in war anymore. He lives a quiet life in Thailand and doesn't care about the world. But one day christian missionaries want to rent his boat to get into that war zone. And when they don't return he does what he was born to do. My Opinion: A very bloody movie. Make sure you have a bucket under your TV to catch all the blood that is dripping out of it. But it's also a very honest movie; it does not hide or glorify the truth of battle. After the first, this is the best Rambo movie and it brings the story full circle. I don't think Stallone should make another one. Just like with Rocky he finished the story of the character in a satisfying way and he should leave it at that. 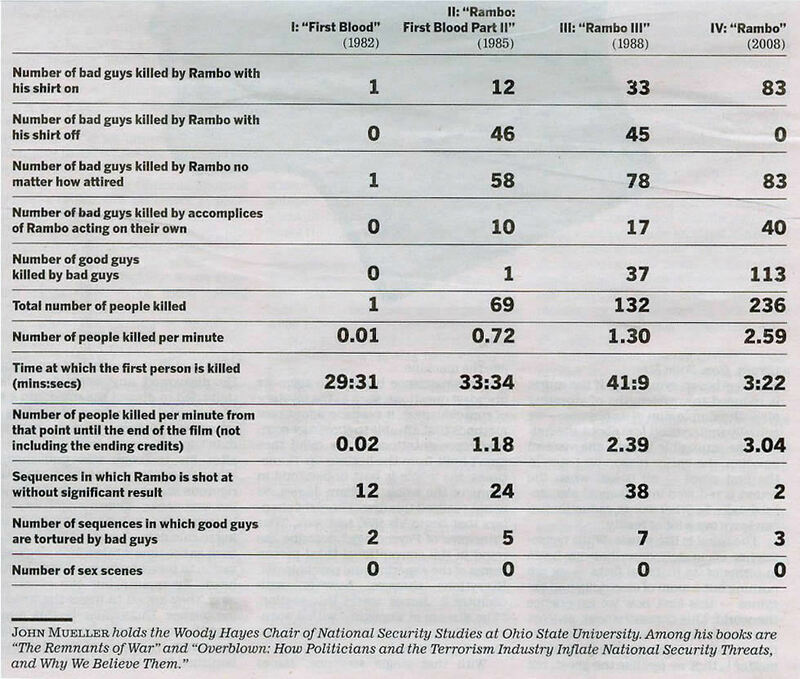 BTW: Check out the body count chart. Synopsis: England has become a totalitarian society. The world lies in ruins but "England prevails". The High Chancellor -with the help of his Fingermen - rules with absolute power. Anyone who opposes him gets incarcerated and/or killed. But then there's V. V is more than a man. V is an idea and you can't kill an idea. My Opinion: For me this will always be 1984 Part II. I always enjoyed the special irony that John Hurt played the protagonist in the original movie has become the antagonist in this one. I also love V's blunt honesty. Actually I love everything about the character and Hugo Weaving's portrayal of him. E-V was great, too. And for those of you who had difficulties to understand V's elaborate style of speaking, here's a translation. I don't think it is really a good movie, it's manipulative and simplistic and actually reminds me of Russian propaganda movies. Still, I can't help but like it and I could listen endlessly to Hugo Weaving droning on as V.
I have watched the clip Karsten posted (very funny!) 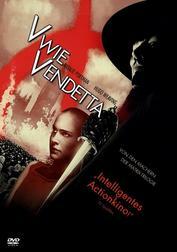 and with taking the cue from the first half of Matthias's post have no further interest to watch V for Vendetta, like, ever.